If you own a home you should know that anything can happen at just about any time. You need to be prepared to handle an emergency when it happens. If you want to be prepared for when the worst happens you should read this article to learn how to handle three common disasters. The first disaster that you should be ready to handle is a broken pipe. Pipes break all the times and can quickly flood an entire home. But do you know where your water shut off valve is? Many people do not. 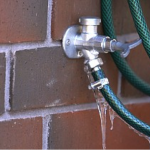 Make sure that everyone in your home knows where the water shut off valve is and how to use it. Quickly shutting off the water can save you thousands of dollars in water damage. Another emergency that is common is a clogged toilet. Do you know where your homes plunger is? Do you even have one? Make sure that you have at least one plunger in your home. Even better would be for you to have a good plunger in every bathroom. The last emergency I will talk about is a broken water heater. They can break with little to no notice so there is only one good way to prevent this type of emergency. You should have a drain pan located underneath the water heater. 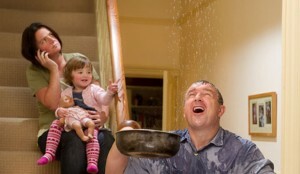 It will allow any water leaked to be immediately drained out of your home. These are three of the most common plumbing disasters that you will face in your home. I hope this article will help you to avoid them or to at least deal with them. Good luck.